These JetMounter models are motorised table-top laminators operated by a foot switch, leaving both hands free to handle the work being processed. 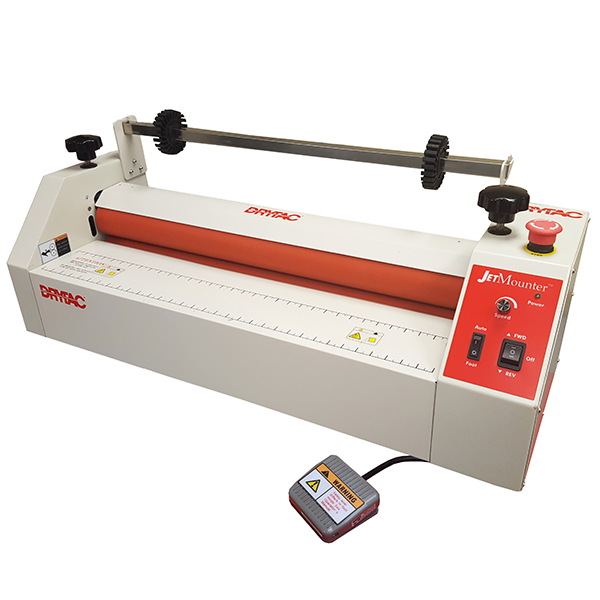 Designed for mounting and laminating inkjet output, the JM26 and JM34 are equally capable of handling photographic or any printed media. All models include a supply shaft and photo cell safety protection. Features include a 1 in (25mm) nip opening, speed control up to 18ft (5.5m) per minute, and a media guide to keep images on the roller when mounting.